The entire world is electronically under the power of the National Security Agency. The NSA surveillance network includes Facebook, Yahoo, Twitter, Google, Verizon, AT&T, Microsoft, Oracle and all social media. 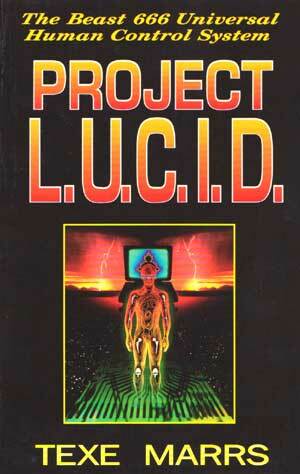 I told you so in my groundbreaking book, Project L.U.C.I.D. President Obama is a pathetic puppet of the totalitarian NSA system which has as its goal causing everyone in the world to receive a neural transplant (microchip) in the brain. You will then think, talk, and act as a robotic device. The Affordable Healthcare Act—ObamaCare—is the instrument that will bring the 300 million people of the U.S.A. into compliance. The IRS is, even now, setting up sixteen national centers of control. A gigantic NSA beast computer system in Utah will be operational in 2014. You and I will do what we are told or eventually be killed. This is real. Do not believe either the Democrat or the Republican parties. They are both full of lying devils who have sold us out. The politicians have been compromised by scandal and are too frightened to act. Save yourself—throw them all out of office.